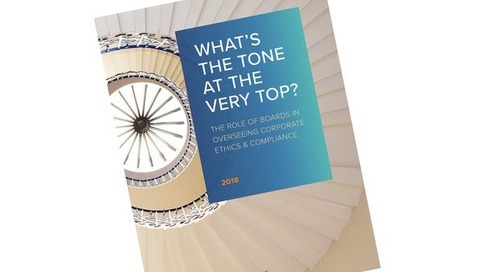 In-depth, off-the-record interviews with 26 Chief Ethics and Compliance Officers (CECO) of major companies revealed that, despite aspirational statements of company values, ethics and compliance is not a high operational priority of their boards of directors. 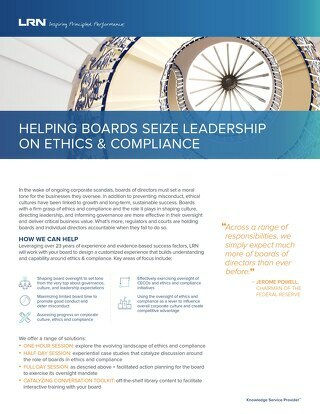 Click here to view additional LRN resources on the role of boards in overseeing ethics and compliance. 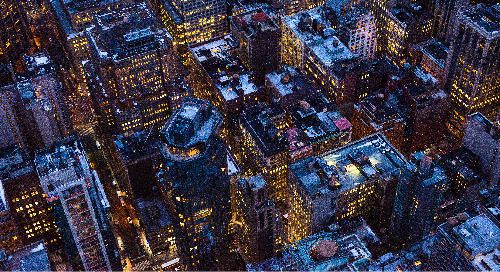 This webcast outlines our findings -- based on the results of in-depth interviews with present and past CECOs of 26 diverse, global companies. 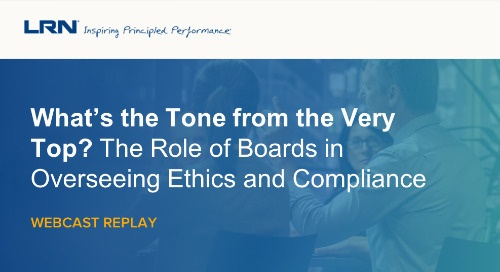 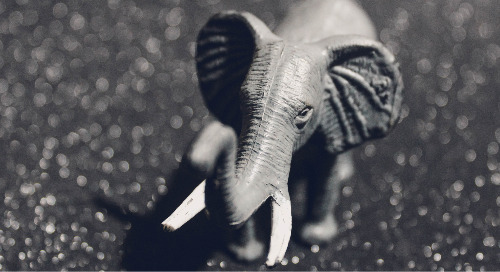 We found a big disconnect between boards of directors and their ethics and compliance (E&C) responsibilities. 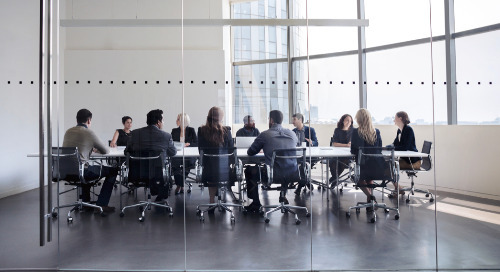 Here's what 26 Chief Ethics and Compliance Officers shared about board oversight. 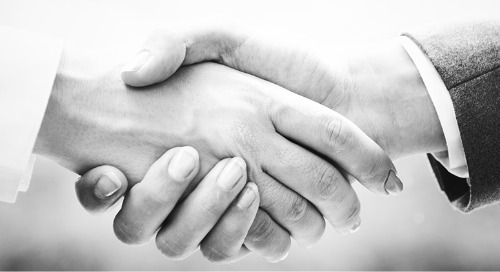 Learn how LRN can work with your board to design a customized experience that builds understanding and capability around ethics & compliance.